New work by Kathy Wyatt. My work is about alchemy and process. 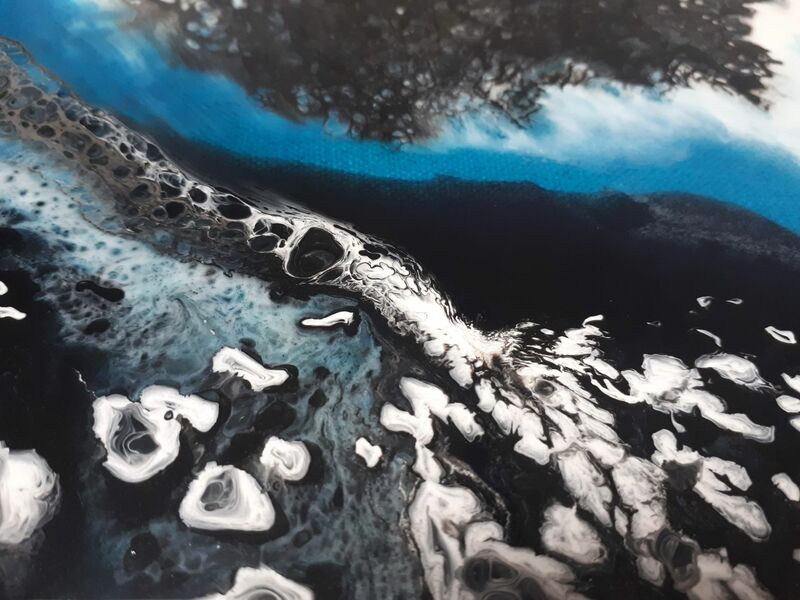 Each piece starts with an intensely focused negotiation between myself and the work as I respond to liquid pigments with differing viscosities as they struggle for supremacy in the face of gravity, air flow and heat dispersion-the alchemy of substance finding its own route across the surface. Control – is then followed by abdication. This latter stage can take 24 hours while the works develops and settle into its own frozen ‘moment in time’. Occasionally the tension of the works meniscus will have broken and flowed over the edge and into the world, an irresistible metaphor of liberation and psychological states can be associated with such serendipitous processes.